Listen to our podcast on the most gifted prodigies in US history, and how they developed as adults! 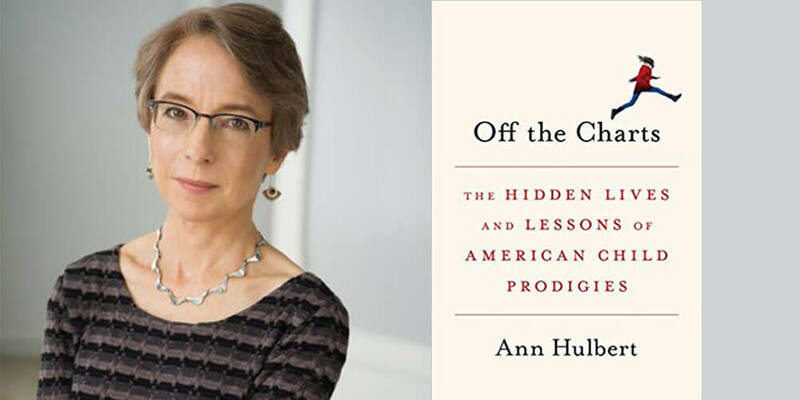 My guest this week is Ann Hulbert, literary editor of The Atlantic, and author of, Off the Charts: The Hidden Lives and Lessons of American Child Prodigies. In this magnificent book, Ann investigates the stories of gifted children including Bobby Fischer, Shirley Temple, Barbara Follett, and Henry Cowell, all of whom had achieved extraordinary things by the time they reached puberty. Ann is also the author of Raising America: Experts, Parents, and a Century of Advice About Children, so in this wide-ranging interview, we touch on the implications for modern parenting culture – helicopter-dads, Tiger-moms and so forth. As the parent of a gifted child, making the right choices can feel an enormous burden. Some of Ann’s prodigies had difficulty adjusting and achieving later in life. Others suffered from mental illness. What was the role of parenting and the education system in creating these mixed results? These aren’t academic questions for me. During this episode (and in a personal epilogue), I refer obliquely to my own history, as a math and language prodigy, who had the potential to finish college by 17 but whose life was overtaken by alcoholism and depression resulting in a 15-year hiatus between college and adulthood. (I’m not sure the latter has fully arrived.) The very real question, for me certainly and perhaps for these kids, is what constitutes “enough” achievement – when is potential (as much as it may ever be) fulfilled? What gifted children appear to have in common. The effect of over-pressuring a young achiever. The link between mental illness and childhood giftedness. The role of schools, and the difficulties with early college entry. The good and bad news from today’s parenting norms. How gifted education has changed over time.